I was recently asked what was the most difficult thing that I have ever done. Without doubt I would now answer with ‘learning another language’. But enough of that negativity, I will borrow Steve Jobs’ Reality Distortion Field and say that Spanish is now comfortably under my grasp. I moved to Spain knowing nothing more than yes, no and the numbers from 1 to 5 (true story). So I very much began from scratch. Over the last 18 months I have found myself moving through certain stages. In this post I want to describe what for me are the classic stages of acquiring a second language. This is where you move to a foreign country, attempt to make friends, and naturally those who you attract into your life tend to be those who already speak your own language. You bond quickly with them and live in a bubble made up of 95% of your own language, intertwinned with the occasional simple request in the local language. This stage helps settle you into the country, and provides a comforter that you know you can always return to again in the future should you wish to. 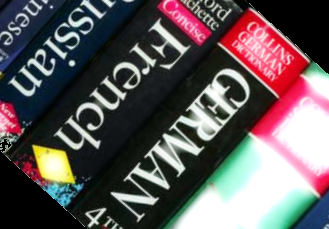 You sign up for a basic course at a language school, which is fairly expensive, but because of this you get the false belief that your language acquisition is under control. You think it will simply be a matter of sitting in a classroom full of bronzed students for 4 hours a day, socialising in English whenever you take a break. This stage feels good though, nobody expects you to be able to speak the language yet, but people are delighted to meet you, and hear about your bold intentions. This stage typically takes place during a summer, most of which is spent with your fellow learners going to the beach, occasionally glancing at a book of verbs. However good it might feel, ultimately this stage is merely a means to an end, and it has to be, otherwise you end up like those thousands of lame expats who live abroad but don’t actually speak the local language, and barely know anyone who uses solely that language. Think mostly old people, who have retired. We’ll give them an easy ride though, as they’ve probably done a few years of hard graft back in the old country to pay for the villa in the Costa Brava. As a twenty-something though, to reside in this class for more than 3-6 months is pretty poor. So you gain a desire to move onto the next stage. In this stage you are actively learning the local language, quite possibly in the same school or through private one-on-one lessons. You go to language-exchange meetings, and demonstrate your stock of 10-20 familiar phrases about why you love your new country, how the people are so nice, what you do for work and also a description of your home town. You begin to feel very good, as you are integrating to an extent, and when you tell the locals of your desire to learn the local language fluently they react with delight. You tell them that you’ve only been here for a few months, and have just started. They congratulate you on talking really well already. This stage continues for anything up to a year. Then something happens. You realise that you always have the same conversations in the local language, you understand the grammar but not quick enough to talk in real time utilizing all that you know. You also realise that all these people who you met and told some months ago that you were new to the language, now expect considerable progress. This pains you somewhat, as no matter how much you have learnt, or how much you understand, the fact you can’t speak so well hints that you’re struggling somewhat. You begin to feel inferior to those who perhaps have had the benefit of many years of schooling in the local language previously. You question if you are trying hard enough. You seek out books to help you learn faster. You read about the latest ‘Learn Language X With Zero Effort’ e-book online. You listen to endless language learning podcasts. Whilst your knowledge of the basics is now exemplary, you realise you don’t how to construct most of the more complex sentences that we use every day in English. You begin to feel pain and disappointment. This pain drives you to the third stage. Now you actively avoid the people who you were enjoying great times with in stage one. You also avoid somewhat those who you met in stage two, as you think you could do with a bit more practice before going back to them to prove that you have indeed learnt the language. You now make friends with locals almost exclusively, and successfully communicate with them on most topics. However it is often with limited vocabulary and lacking advanced sentence constructions. You go out with groups of locals but again feel pain when you don’t understand much when they switch to their natural speaking pace. This problem is exaggerated in a setting such as a noisy bar or nightclub. You hear your friends talking, but can barely understand the topic let alone every small detail of what they’re saying. Just missing one or two key words affects your understanding of a sentence, which then means your hastily prepared reply is itself out of context. This creates some social awkwardness as you then attempt to fire back a reasonable comment with a dozen eyes focused on you. You feel disappointment that you’re not one of those talented language learners who seems to effortlessly pick up a new language in no time. You worry that these new friends think you’re probably a little dumb. You begin to feel a bit of a burden, rather than an interesting addition to a social group. I bet you are now thinking, Oli that really doesn’t matter, these people know you aren’t yet totally fluid with the language, and don’t know a huge amount of vocabulary. I would disagree, outside of a pre-planned language exchange, in the real world, people are time-poor, when with their friends they want to have a good time. They don’t want to remain silent for 45 seconds whilst you attempt to conjugate the verb pensar in the preterite tense for the 2nd person plural (pensasteis – in case you were wondering). There is a time and place for practising foreign languages, and most people don’t want you to flood their life with slow responses to simple questions that offer nothing in the way of wisdom. Stage 3 continues with you meeting many locals for ‘intercambios’ and understanding almost everything they say. However it’s at a cost, your brain is now fried, as you are listening hard for every single word. You become obsessed with your future self that can speak the language fluently. You leave social situations wishing more than anything that you were better than you are, no matter how well you have spoken. Then one day you realise that most of the language learning material you have is rather simple. You understand it all too well for it to be useful. You listen to ‘Learn Language X’ podcasts and are frustrated with how slow and methodical it is. You moan about how you wish it was harder. Even the so called ‘advanced podcasts’ seem a bit too slow. You listen to the television news and hear every word. You find that with the right people, in the right setting, talking about most subject is now not a problem. Then one day you pat yourself on the back and smile, realising that progress has indeed been made. The pain you experienced has transmuted itself into the drive needed to bombard your brain with enough content for it to now understand it all. Pain is often more profitable in the long run than pleasure. You get slightly confused, not knowing whether to proudly appreciate your improvements, or force yourself to consume harder and harder language content. You do a bit of both. Then you slip up again and end up fantasizing about reaching the next stage, admitting that you’re not yet there. You look back and see where you came from all those months ago, laughing at your previous selfs’ inability to remember basic verb endings. Then you admire your future self, and appreciate that you just need to keep going. Note: I have not experienced this stage yet, but this is how I imagine it is. In stage four, you no longer have to think about all but the most complicated of sentences. You comfortably join in with conversations with friends in the local language. You don’t speak error free, but your level is high enough that you can express yourself in a way that satisfies you. You take an interest in real non-language learning books in the local language, and stop when you find an adjective that you haven’t come across before. You tell your friends about the odd new word that you’ve discovered. You no longer seek out ‘intercambios’, but enjoy meeting new people with perhaps different accents, and comment on how difficult they were to understand. You also experience another phenomenon, you find that you dream in the local language, and more often than you would imagine. Not the type of dream where one word is uttered by some dream character in the local language and you wake up excited and tell all your friends about, but a proper dream where you yourself were conversing in the language. You also find that when talking to relatives back home you forget a word in your native language, but it immediately flies at you in the local language. You fear for a moment that you might actually be forgetting your native language. Fear not however, apparently this typically only happens after you’ve spent 50 or more years speaking the local language, and critically without using your native language. You perhaps study for a high level exam in the local language, that would enable you to teach the language should you desire to at some point. You tell people that you are still learning the language but they respond that you are clearly fluent already. At this point you have become one of them, the language barrier (why is it never called a wall?!) has disappeared. You only struggle when listening to politicians arguing on television, or old men shouting in a small village pub. Note: I have not experienced this stage yet, but this is how I imagine it is! The end game is titled as such because at this stage you forget that you are a language learner. Your focus moves onto other things, such as getting a ‘six pack’, running a marathon, learning to play the guitar or something. In other words, the local language has become such a big part of who you are, that you no longer associate as something ‘out there’, it is part of you. You pick up a newspaper to find out what is happening in the world, not to ‘practice reading a bit’. You watch a local TV station to enjoy the interviews on a chat-show, not to ‘do some listening practice’. You meet up with friends to hear about their lives, not to ‘do an intercambio’ or ‘practice your speaking’. You might even decide to learn a different language. You don’t even think about the language when you pick up the telephone. You require zero effort to listen to anyone speaking in the local language, your mental effort instead is passed onto other things. You perhaps teach others the local language, and only occasionally stop to look up a strange word in the dictionary. You read novels in the local language without any problems, and enjoy ironing out any very minor pronunciation issues. I hear that to reach a level corresponding to my stage 5 takes a minimum of 8 years living in a country that speaks the language, perhaps many more for some people. Most language learners end up experiencing stage four, and feel satisfied with that. I have met hundreds of English learners who are at this stage, and it’s certainly something to be proud of, there is no shame in reaching stage four and dropping the anchor. To get from stage four to stage five requires major determination and the decision to use the language as your default language ahead of your native language for many years. Having said that though, to move from stage one to stage two requires effort, the same with stage two to stage three. Effort over a long period of time. To make an effort once is easy, to make a big effort once a month is possible for most people. To get to stage four of learning a new language, requires big efforts every single day. Nobody will follow through with this, unless they have something else. Something which you cannot buy, nor can acquire it from reading a book, or from browsing the internet. It’s something unique to living things on this planet. It’s desire. Desire is the coal burning away in the engine of your steam train, that pushes you onwards through continual language acquisition. Without desire, properly learning to use a foreign language to a high level is simply not going happen. There are a billion and one other things a person can spend their day doing, and without the desire to learn every single day, you will quickly move onto other things. The big question then becomes. How do you get the desire to learn another language? For me it’s one of two things. The stick or the carrot. The avoidance of severe pain, or the chase of sublime pleasure. The stick creates desire in people who finds themselves in another country, where they don’t speak the language, not by choice but by the need to work perhaps. Think of settlers in the United States 100 years ago who didn’t speak English. Without the language, they could not earn a comfortable living for their family. The American dream required a knowledge of English to achieve. In this 21st century of hugely mollycoddled youths and the welfare state for those struggling to find jobs, such a stick doesn’t really exist. Countries even go out of their way to cater for those not speaking the local language. Thus, to succeed, one needs a big enough carrot. Something so juicy and desirable that it pushes you every day to learn more and more, no matter how uncomfortable it may make you feel. Something that pushes you to put yourself in those uncomfortable positions, both socially and professionally. Something that gets you through those times when you wonder what on earth you are doing spending so much mental effort trying to make these strange noises when you already speak the world’s leading language. Where to find a big enough carrot to drive you from stage one in a summer language school with bronzed classmates, to stage five of living a real life without even thinking about the local language, doing everything you would in your home country, without any problem whatsoever, is not a question that has a generic answer. It is up to your own imagination, to create that carrot, and for you to have the courage to chase it. See you in stage 5.